Travel Warnings: Who Determines When & Why? Drug-cartel violence at tourist hot spots in Mexico—that is just one reason the United States Department of State recently issued a travel warning for Americans planning to visit Mexico. But the NBC Bay Area Investigative Unit found out there is no standard on how the State Department decides to issue travel advisories. We discovered that the State Department cannot verify the accuracy of all of the information it uses to decide whether to declare a travel warning or travel alert. That leaves some wondering if Americans are getting an accurate picture of how much crime is happening in Mexico. In February 2009, Susan Connor and her husband Timothy rented a condo overlooking the ocean in Puerto Vallarta. But their romantic getaway turned unimaginable when Susan says an intruder trying to rob them broke into their condo while they were asleep. She says the man grabbed a knife from their kitchen, and while Timothy tried to fight him off, he was stabbed to death. “You are watching your husband die right before your eyes?” Kirchner asked. A year after Timothy Connor’s death, the State Department issued its initial travel warning for Americans visiting Mexico. Susan Connor wishes that had happened before their trip. According to the State Department, in 2009—the year that Timothy was killed—78 Americans were victims of homicide in Mexico. The number jumped to at least 113 last year. The number of Americans reported to the State Department as murdered abroad is only made public because the United States government is required by law to disclose the information. “The way we will determine that we have arrived at a level that requires a travel warning is by monitoring a lot of different sources,” said Hugo Rodriguez, head of the State Department's American Citizens Services section. Rodriguez says there is no specific criterion or magic formula for issuing a travel advisory, so he cannot say exactly how the State Department made its decision to declare a travel warning in Mexico. In turn, law enforcement agencies, as well as foreign non-governmental organizations and domestic nonprofits, give their statistics to the State Department. For example, according to Mexico’s Attorney General, the country had more than 28,216 homicides between January and September of 2011. Reforma, one of Mexico’s largest newspapers reports more than 12,359 drug-related killings last year. According to the publication, that is up from 2,119 in 2006. But the U.S. government doesn’t make those statistics public because officials say they cannot guarantee the accuracy of the information. This February for the first time, the State Department issued a travel warning that pinpoints dangerous areas in 18 of Mexico’s 31 states. 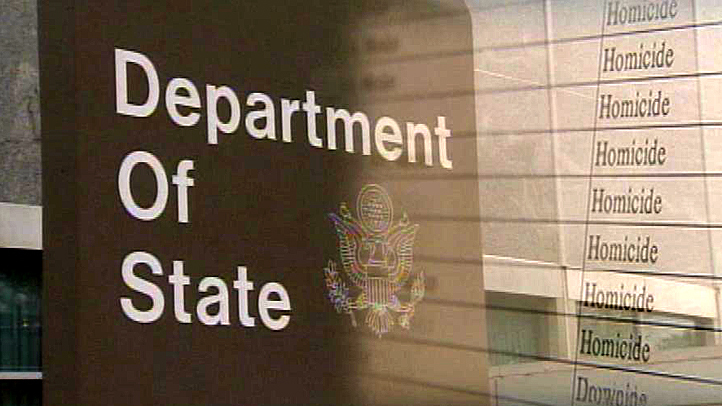 U.S. officials provide briefings of areas within those states on the State Department website. Throughout the world, 31 countries are now under travel warnings. But the State Department distinguishes Mexico as a country where its government makes a considerable effort to protect Americans in major tourist destinations. The U.S. government only issues travel alerts in countries experiencing short-term events like a natural disaster or election-related uprisings, for example. There are currently four countries worldwide with that classification. Travel lawyer Al Anolik believes the government’s travel advisory system is influenced by insiders. He represents two of the largest U.S. travel agencies operating in Mexico. Rodriguez says Americans are primarily responsible for their own security when they travel abroad. “We want to make sure that Americans are making smart choices,” he said. Susan Connor has no plans to travel back to Mexico. She says it is a place that brings back too many painful memories of her husband’s death. “I miss him of every second of every day,” she said. Unlike many of the other countries currently under a travel warning such as Syria or Libya, U.S. officials note that every year millions of Americans safety visit Mexico every year, including more than 150,000 people daily.